The removal of our large oak tree has broadened the area of sunshine in the back yard. I want to expand my herb garden in the Spring. Now is the time to take action to clear away the grass. I placed some packing paper( black and white newspaper works fine too) on the ground in the shape I want, and covered it over with a few inches of garden soil. The grass, shielded from the sunlight, will yellow and begin to decompose into the soil. 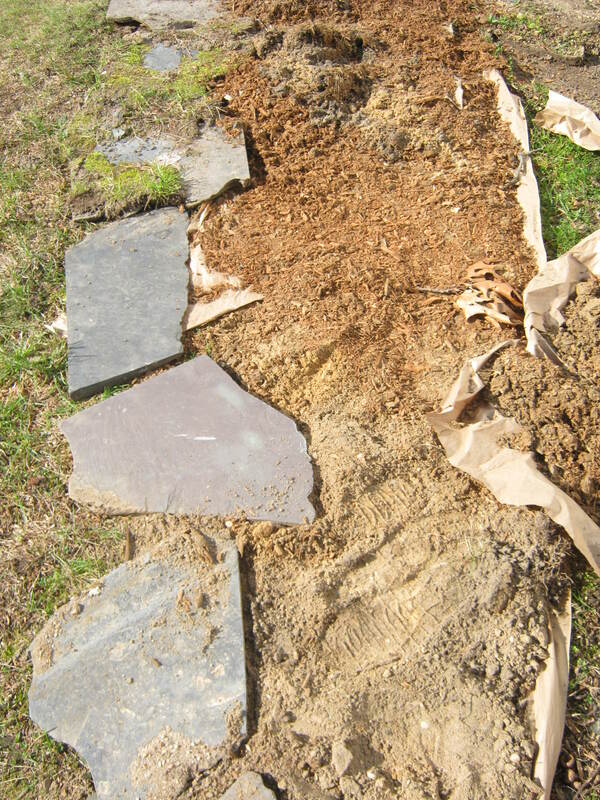 If there are any remains of the lawn when I am ready to plant my garden, I can easily turn the sod over with a shovel or garden rake. Thanks…looking forward to planting more herbs in 2016.